An almost-daily picture taken with my iPhone 4 (and newer). For my inaugural photo post, I could not think of a better one than this. This photo was taken in June of 2011. 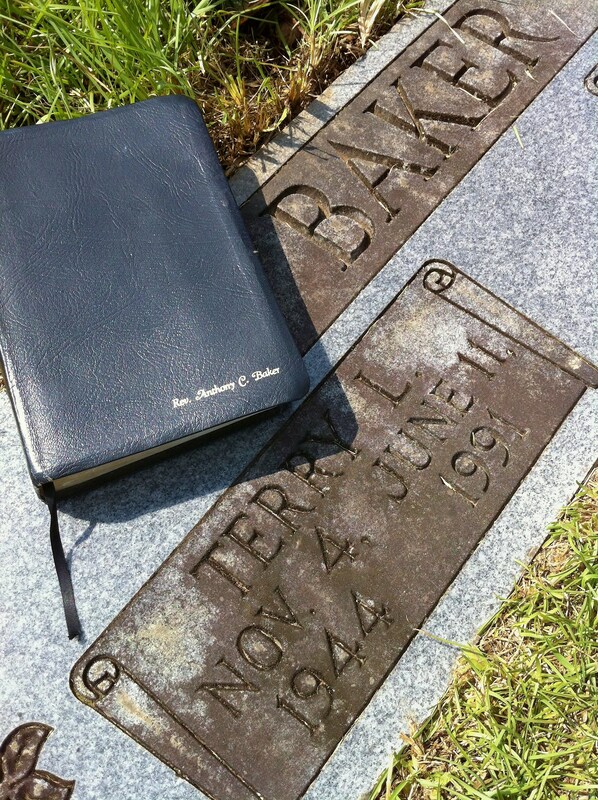 The tombstone bears the name of my father, Terry L Baker. My dad was a faithful man of God, and the evidence was exhibited in every area of his life. On his marker rests my Bible. The inscription reads Rev. Anthony C. Baker. 20 years after his death I felt it would be appropriate to visit his grave to tell him, symbolically, that his son was still in the fight.